Estheticians provide a wide range of beauty services to help their clients look and feel better. This includes improving the quality of skin (including the treatment of skin disorders), hair removal, permanent makeup application, and facial massage. Esthetics is a relatively new profession that has experienced huge growth in the last decade. Some types of estheticians, like medical estheticians, provide highly specialized procedures that require detailed training in order for it to be done safely and effectively. Medical estheticians can help individuals suffering from serious skin disorders, burns and other trauma, and to help with pre and post-operative surgery affecting the health of their skin. Job Description: What Does an Esthetician Do? Estheticians (which can be spelled aestheticians) work in the cosmetology field to assess and treat beauty needs and problems. Estheticians are sometimes confused with cosmetologists, who mostly do hair and makeup and do not require any formal training. Estheticians not only help with standard cosmetic concerns, but also address the needs of individuals dealing with medical conditions and surgeries that are adversely affecting their skin. Estheticians work closely with their clients in a friendly and positive manner, so an enthusiastic attitude and desire to help people is an excellent attribute for an aspiring esthetician to possess. Duties differ greatly between a basic esthetician and a medical esthetician. Esthetician Salary - How Much Does It Pay? The median range for an esthetician in 2017 was $45,422, based on the U.S. Bureau of Statistics. The state of Wyoming has the highest paid estheticians in the country, earning an average of $55,530 per year. However, this salary is based on the average of several different kinds of estheticians. Medical estheticians work in hospitals, medical offices and clinics, and receive a higher rate of pay. According to 2013 data, the average salary for nurse and medical estheticians employed by hospitals and outpatient facilities was between $45,620 and $47,430, respectively. Medical estheticians working in a physician’s office have an average salary of $48,990. Regular estheticians who work in a spa or beauty salon perform less specialized skin care and command a lower salary than a medical esthetician. As with most other professions, the rate of pay will depend not only by type of esthetician, but experience and education levels, and the region of the United States in which you are working. In order to enroll in an esthetician program, you must be 16 years old and have a high school diploma or GED equivalent. All states (except Connecticut) require estheticians to be licensed and have completed a state approved cosmetology or esthetician program. However, the amount of in-school training hours and apprenticeship hours required varies greatly. For instance, Florida requires only 250 in-school hours of training and does not require any apprenticeship hours. In contrast, California requires 600 hours of in-school training and 3,200 hours in an apprenticeship. Therefore, you will first need to find out the requirements of the state in which you intend to hold your license. When seeking a school for esthetician training, be sure it is part of a state approved and accredited cosmetology or esthetician program. One of the best accrediting agencies is the National Accrediting Commission of Cosmetology Arts and Sciences (NACCAS). Some technical high schools offer this type of training, but many pursue their schooling through a postsecondary vocational school. Certificate programs can take six months or less, while getting an associate’s degree in cosmetology with a focus in esthetics can take two years or more. You may be able to complete your apprenticeship hours concurrent with your schooling, or this may be done after you graduate. You may want to become a standard esthetician or prefer to become a more specialized esthetician working in a medical office. When you enroll in a program, make sure you take the correct courses needed to pursue the particular type of employment you are looking for. You may want to choose a particular school that offers specific programs geared toward your specialty. During your schooling, you will learn about cosmetic sciences, hair removal and waxing, safety and sterilization, human physiology, makeup techniques, and all about the body’s largest organ: the skin. Once you complete your state’s required in-school and apprenticeship training hours, your last step is to take the state board exam. This exam will include both written and practical portions of the exam, so you will have to demonstrate your skills in person to a test proctor. Medical estheticians will need to take and pass a special paramedical esthetician exam. Now that you have fulfilled all the requirements to become an esthetician, you may start applying for jobs. Some schools offer a job placement program. When you approach prospective employers with a fine-tuned resume, highlight your technical experience and any specialized training you have received. After gaining more on-the-job-experience and acquiring satisfied clientele, some estheticians choose to go out on their own. If you decide to start you own business, you may find that additional schooling in business administration may be helpful. Some states require estheticians to take continuing education courses to stay up-to-date with the latest techniques and also refresh their memory about the ones they already know. It is important to follow all state guidelines to avoid the loss of a license, which can disqualify you from continuing to work until you regain your license. Before starting your education to become an esthetician, you must already possess a high school diploma or GED. When you are ready to enroll in an esthetics program, be sure you are taking it through a school that has been accredited, preferably through the National Accrediting Commission of Cosmetology Arts and Sciences (NACCAS). When have enrolled in courses to become an esthetician, you will learn about certain aspects of cosmetology, skin care and skin health, how to perform chemical peels and laser treatments, and much more. The courses you need to take will depend on what type of esthetician you’d like to become. Your courses should be able to teach you everything you need to know in order to pass both the practical and written portion of your state’s esthetician exam. Your education may be completed in as little as few months to two years or more. Because an esthetician performs more technical and sensitive procedures than a cosmetologist, proper training and education is imperative for the safety of your clients. These types of procedures can include: microdermabrasion, the application of permanent makeup, and botox or dermal filler injections. You will need to take advanced courses if you want to become a medical esthetician. Finding a niche specialty such as this can help you find employment later on, since very few individuals will possess the same training and experience. Medical esthetics courses will teach you how to help individuals suffering from severe burns, how to treat skin in pre and post-surgery situations, and advanced knowledge of the ingredients and chemicals found in skin care products. If you plan to start your own business as an esthetician, you may also want to take business courses to be well prepared. The educational costs to become an esthetician can be in the thousands, so plan ahead well to ensure you make the most out of your investment. Each state has their own licensing and certification guidelines, so check with their specific requirements. You may wish to consult with individuals who are licensed in your state to ensure you understand all the regulations. Once you complete your education with an accredited school, you will receive a certificate in esthetics. After you have received a certificate, you will need to pass your state exam to receive a license. All states, except Connecticut, require a license to practice esthetics. Many states use the National-Interstate Council on State Boards of Cosmetology exams, while others have their own exams created specifically for their state. Most exams will cover topics such as: scientific concepts and esthetics practices, facial makeup and masks, hair removal, massage, and skin cleansing. Your state may or may not require you to complete a certain number of hours (or months) of training through an apprenticeship. Some states require working over 2,000 hours through an apprenticeship, which is equal to working full time for one full year. However, most states do not require working any apprenticeship hours. It is possible to complete some or all of the required hours concurrent with your schooling. Some schools have an apprenticeship weaved into their program to make it simple for you to find employment after you graduate and pass your exam. Medical estheticians will have to pass a different, more difficult exam that covers more complex concepts and techniques. Both exams include a written and practical portion of the exam. Once licensed as a medical esthetician, you can earn a higher rate of pay than a standard esthetician. Some states offer a “master esthetician” license, which will require additional education and training to become proficient in advanced skincare techniques. Exam fees will average around $100-200. Licensing fees can cost about $100 per year or every other year. The job outlook for estheticians is great, with 25 percent of growth expected by 2020. A good deal of growth has already occurred in the past ten years, making esthetics an excellent field of study. Due to the varied specialties available under the full umbrella of esthetics, there are a lot of different options to choose from. If you prefer to work in a medical environment, you can be a medical esthetician. If you prefer to work in a relaxing spa atmosphere, you can become a basic esthetician. Being able to help clients look their best, especially if they are suffering from a skin disorder, makes a career as an esthetician very rewarding. That's a higher than average projected growth of 8,400 jobs. Should You Become an Esthetician? According to Associated Skin Care Professionals, there are almost 200,000 licensed estheticians in the United States. Estheticians help clients improve the health of one of their most important assets: their face. Improved skin tone and a more youthful complexion can give people the confidence they need to achieve what they want to in life. Estheticians help make that happen and can feel satisfied that their work improves others’ quality of life. Rather than a cosmetologist who often applies temporary fixes like haircuts and makeup, an esthetician can provide long term solutions to various problems. 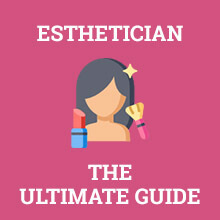 The average salary for basic estheticians is about $45,422, but experienced estheticians working in an elite field or for wealthy clientele can earn upwards of $100,000. Estheticians may be able to supplement their income with commissions from the sales of skincare and makeup products. Good salesmanship and an enthusiastic attitude can help generate income and customer satisfaction. An esthetician with significant experience and expert training in a certain area can earn a better annual salary that those with limited experience and training. Estheticians who start their own business have the potential to make even more money, but bear the sole responsibility for the success of their business. Growth in the field of esthetics is higher than average. Esthetics is changing and growing with new products, services and options developing all the time. Estheticians now have the option to become an independent contractor working at a spa or salon by paying a periodic rental fee. Some estheticians have a mobile spa and do their work in people’s homes. Medical advancements give opportunities for medical estheticians to provide the most up-to-date techniques and services in hospitals, clinics and physician’s offices. The length of time needed to become an esthetician will depend on your goals and which state you plan to practice in. To become a basic esthetician, it is possible you could spend as little as 300 hours training. However, some states require thousands of hours of training and apprenticeship hours. You can expect to spend anywhere from between four months and two years before you can expect to get your esthetician license. Medical and master estheticians will need about twice the training as basic estheticians. If you are a friendly, upbeat person who is excited to help clients look their best, then esthetics is a perfect profession for you. Q. How long does it take to become an esthetician? Depending on the program and school you choose and the state in which you live, it can take anywhere from four months to two years to become an esthetician. Certificate programs to become a regular esthetician can only take a few months, but to become a medical esthetician will take longer. The length of the requisite apprenticeship will depend on the regulations of your state. Some states do not require an apprenticeship, while others require a year or longer. Q. How much does an esthetician make, on average? The salary of an esthetician varies by a number of different factors. Aside from region, experience, and education, salary will also depend on the type of esthetician. The median salary range of all regions and esthetician types is about $45,422. Highly qualified medical estheticians can make closer to $50,000. Nurse estheticians (which requires being a registered nurse), can make even more. For regular estheticians, working in an exclusive spa will enable you to make a higher salary. Q. How much does esthetician school cost? The cost of esthetician school varies widely. Programs to become a medical esthetician will be more expensive than basic esthetician training. Tuition at a community college will be more affordable than a private school. Tuition can cost from anywhere from $4,000 for a six month training course to $20,000 for master esthetician training. Master esthetician training can often cost twice the amount of basic esthetician training. Financial aid may be available for esthetician training courses. Q. What is a master esthetician? Master Esthetician Licenses are only available in certain states. The number of hours required to obtain these licenses are usually about twice that of a basic esthetician. Master Estheticians are experts in advanced skincare therapies. They are knowledgeable in: microdermabrasion, dermaplaning, herbal exfoliations, vitamin-based peels, Jessner peels, and lymphatic drainage massage. 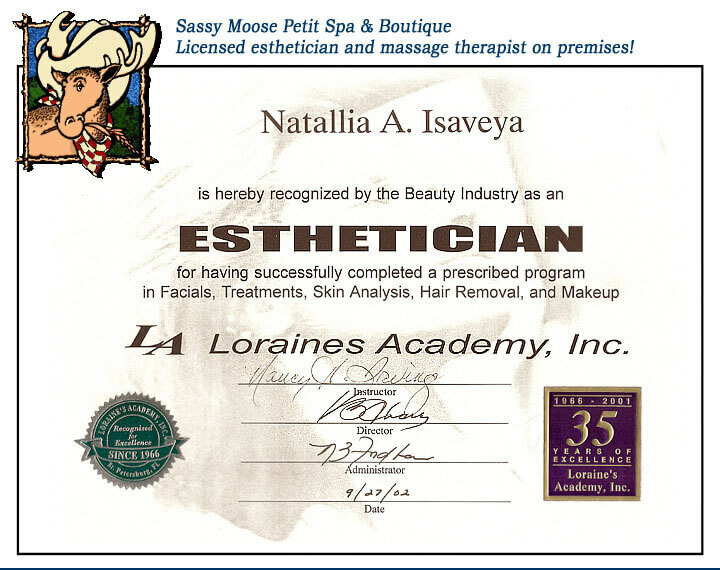 In some cases, individuals may only work towards their master esthetician license after receiving their medical esthetician and/or advanced esthetician license first. Q. What is the difference between a dermatologist and an esthetician? A dermatologist is a medical doctor who has completed about 12 years of schooling and training. An esthetician is a licensed professional who is not a doctor. The median annual pay for a dermatologist is $471,555, which is more than fifteen times the salary of the average esthetician. A dermatologist is qualified to diagnose and treat major diseases of the skin such as cancer, whereas an esthetician would simply refer patients to a dermatologist in the case of issues that appear to be concerning.